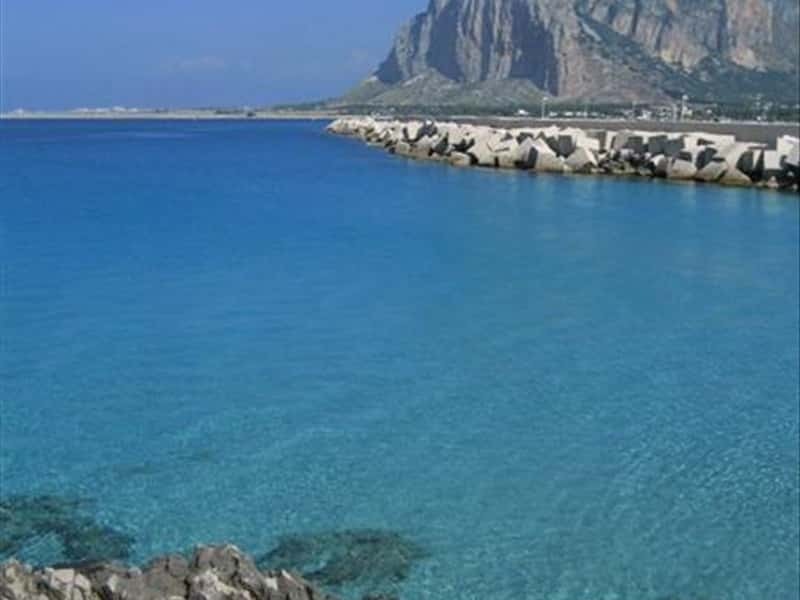 San Vito Lo Capo is a famous seaside resort in the province of Trapani. It developed during the XVIII century in an area inhabited since the Prehistoric Age, as many relics founded in the grottoes of the area testify. Site of a tunny-fishery, active until the XVII century, the village was also famous for the Sanctuary of San Vito, built in the XIII century on a pre-existing chapel and enlarged during the XVI century. It is now the Mother Church of the town and its massive and quadrangular aspect brings to mind a typical watch-tower. The Arab style Chapel of Santa Crescenzia, with its typical cube form, is a truly architectonic jewel. The coastline is characterised by many lookout towers (Isulidda, Torrazzo, 'Sceri, Cofano, Uzzo and Impisu). This town web page has been visited 28,360 times.